It's that time again, time to announce the winner from last week's From Me To You post and give you another chance to win! All you had to do for a chance to win was guess which pre-cut we were featuring...so if you guessed Seven Seas by Michele Brummer-Everett for Cloud9 Fabrics, you were right! 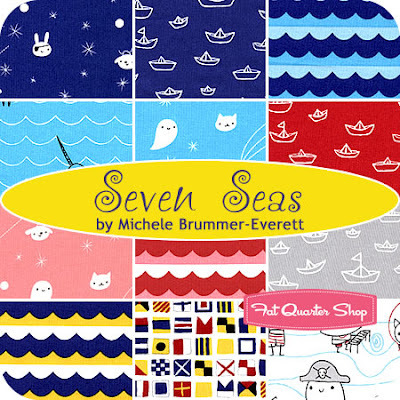 "Seven Seas Organic by Michele Brummer-Everett for Cloud9 Fabrics! Thanks for the chance to win." Congratulations! 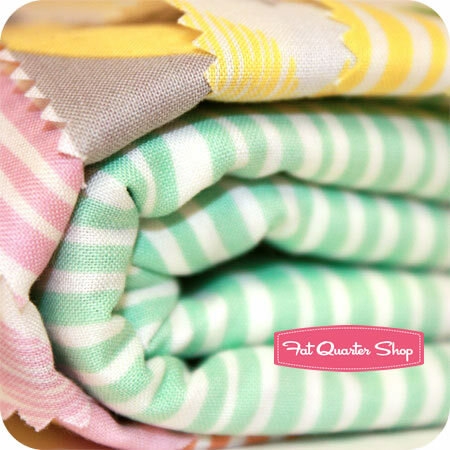 To claim your prize please email codi[at]fatquartershop[dot]com with your full shipping address. 1. This collection shares the same name as a 1999 movie. 3. This designers are passionate about contemporary, eco-friendly fabrics. For a chance to win, leave a comment on this blog post with your guess as to what collection we are featuring! Contest closes Sunday, July 22nd at midnight CST. The winner will be announced one week from today, in the next From Me to You feature. Good Luck!